This week history will be made as the adidas Golden Ball award goes digital. The nominees for the best player award at the 2014 FIFA World Cup Brazil™ will be revealed on the @brazuca twitter feed at 2:30PM (BRT) on Friday 11th July. The 2014 FIFA World Cup Brazil™ (@fifaworldcup) has been one of the best tournaments in history, with the 159 goals scored in Brazil already surpassing the 145 scored in South Africa. Many of the world's best players have lit up the pitch in Brazil, but only one will be rewarded with the prestigious adidas Golden Ball award. 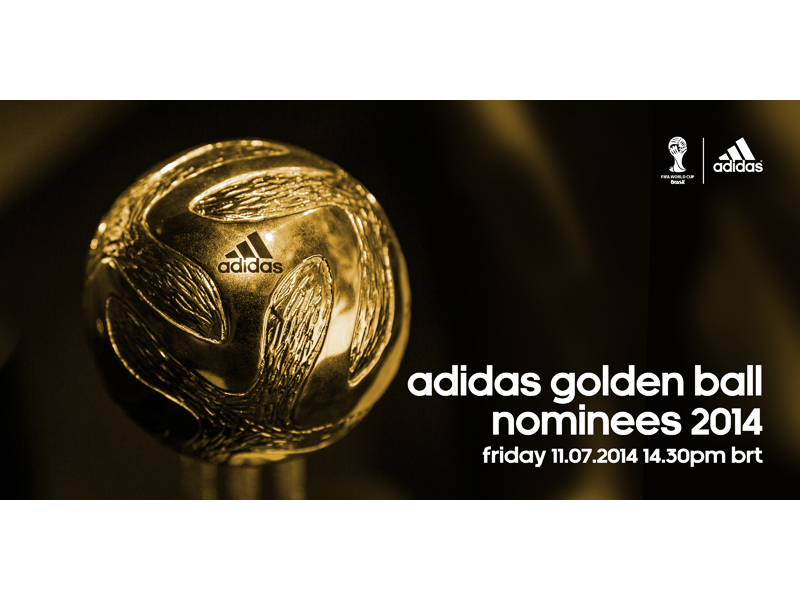 adidas has awarded the adidas Golden Ball to the best player of the FIFA World Cup™ for over 30 years. This year the award is being thrust into the digital age with the help of @brazuca. In a world first, the nominations for the award will be announced live on the @brazuca twitter feed in its own unique style.